Having Samsung glass repair performed by qualified facilities of the South Korean company means handing over to professional places where you can take advantage of an exemplary technical assistance service. An immediate service, considering that replacing the glass in a smartphone takes only ten minutes without the risk of losing your data or multimedia files. A safe and decisive service. 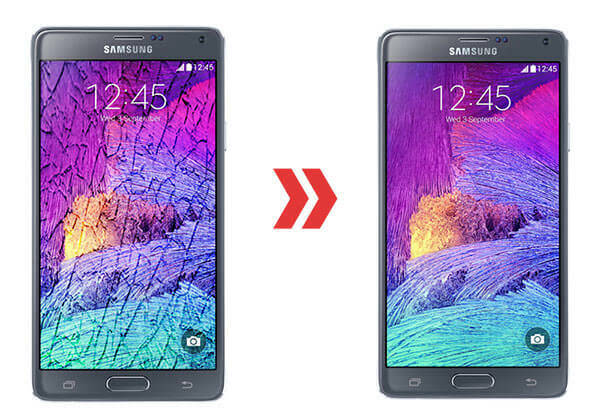 How is Samsung glass repair carried out in these facilities? Within these places there is an entire technical staff that is competent, expert and able to face and face any situation on a technological device, thus starting a technical support facilitated by the use of specific tools and another exclusive factor to be highlighted: that is to say to be able to use new and original spare parts coming directly from the manufacturer Samsung. This is a peculiarity that distinguishes these structures from all those places that are not certified and unauthorized, which do not have the possibility to take advantage of such factors, therefore consequently people who rely on these non-certified places risk seriously compromising your smartphone and also you have the certainty of losing any official warranty provided by the company during the purchase. Is it possible to receive a Samsung glass repair service without being able to physically go? Yes, so much so that these structures study and analyze every little detail so that it meets all the needs of its customers. In fact, there is the possibility to request the device collection and redelivery service at your home or place of work, where once the operation is completed you can return to enjoy your device that is working and guaranteed with an insurance that has the power to cover the device for several months. Delivering yourself in this structure means receiving assistance aimed at fulfilling all expectations.